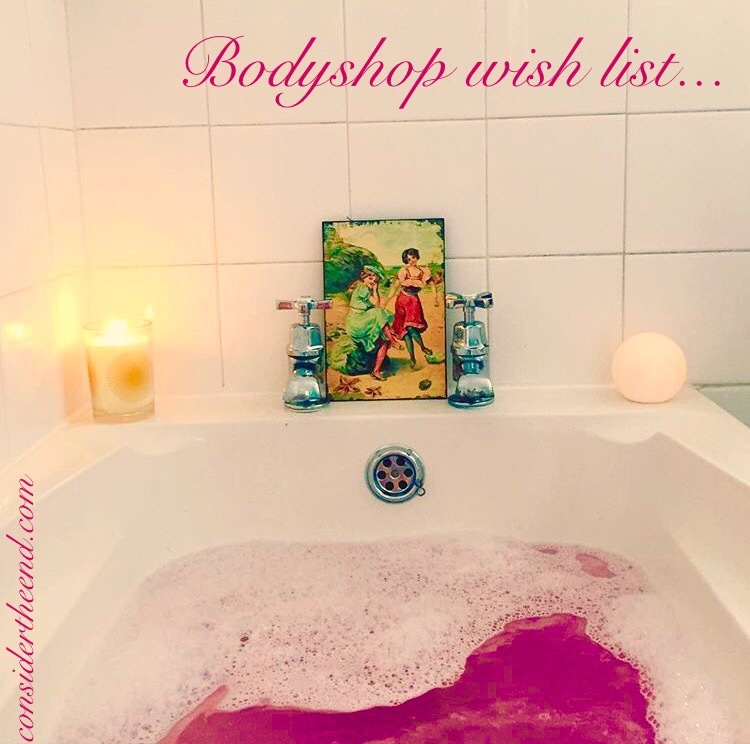 A few years ago my sister-in-law became a Bodyshop at home rep. She would host parties in your home and bring round lots of lovely Bodyshop products to test (think Tupperware parties from the 90s or Ann Summers parties of the noughties 😉 ). I started buying some showergels, then some body butters… the next thing I knew I had enough products to open my own shop! Since then I’ve been a little addicted. I love their commitment to sourcing sustainable natural ingredients and their openness to publishing the origin of said ingredients. They aim to pay a fair price to their community trade partners and have pledged to help `40,000 economically vulnerable people access work around the world’. AND if that’s not enough, they NEVER test on animals. So I thought I’d spread the love and share with you some of my fave items. 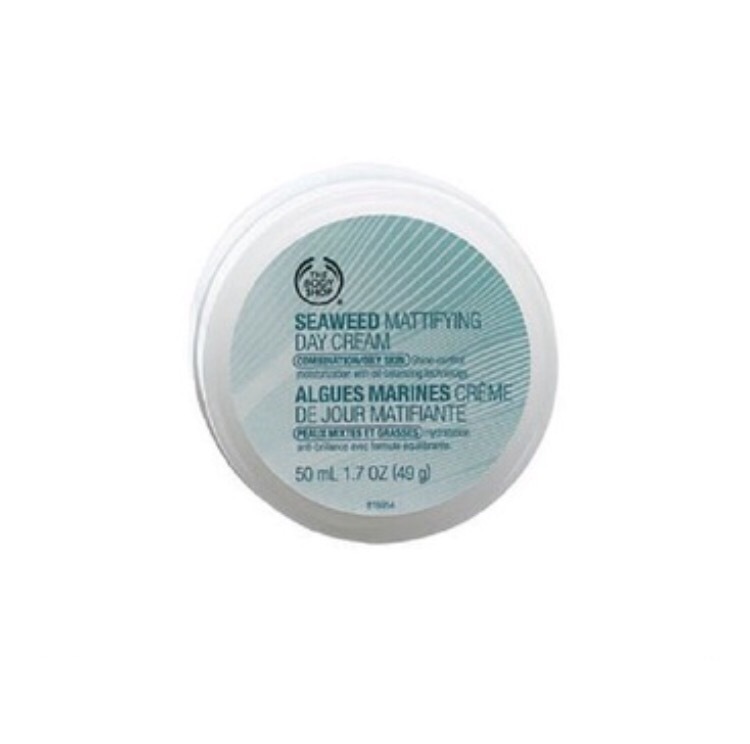 This seaweed day cream is perfect for my skin. It’s oily at the T-zone and dry everywhere else, classic combination skin. I don’t know how it does it, but this cream is so lightweight that it soaks into your skin with ease. You’re not left feeling like you have a full greasy facemask on which means you don’t have to wait 10 minutes before you apply your make up. It’s cheaper than most of your premium high street brands AND a little goes a long way so will last you a couple of months! Who doesn’t love a good exfoliator? It feels like a bit of a luxury to have time in the shower to actually exfoliate, or is that just me? I always have one of these in the bathroom and my skin always feels so silky smooth after. 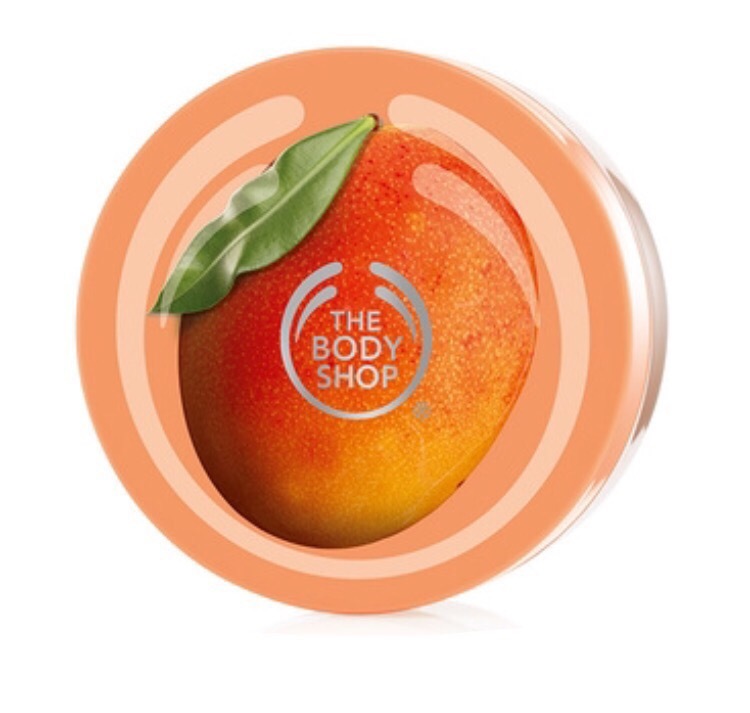 Mango is one of my favourite Bodyshop scents too, I love it. AND it’s a sugar scrub, so it dissolves in the drain meaning that it’s better for the environment than the ones that use plastic microbeads. Absinthe? Like… the really strong alcohol from Greece? The one that steals your legs? Your head feels okay till you try to stand up and then you realise your legs don’t work…? THAT ABSINTHE? I actually don’t know, but I’m intrigued enough to want to try this hand cream. I’ve tried others in the hand cream range; the rose scented one is beautiful! I don’t know if it’s an age thing, using hand cream. But I’ve suddenly become aware of my hands starting to look old… is that a thing? Nah? Just me? Well, anyway, I feel like if I regularly moisturise my hands then I’ll stop them looking old. 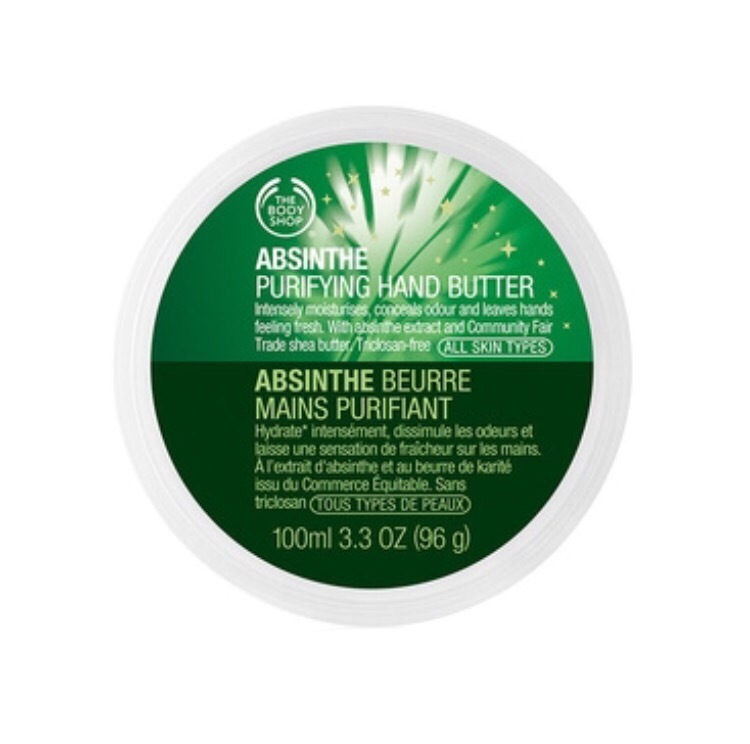 This one is described as ‘intensely moisturising and fresh… is a treat for dry hands’, so I’m keen. Do you like Bodyshop products? What would you recommend?